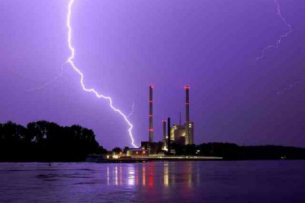 Lightning Strikes to and/or nearby structures are very hazardous to both the structures and the people within them. Damage can be caused to people caused by step and voltage injuries; physical damage caused by fires and or explosions. Lightning strikes can also cause mechanical failure to operational equipment within buildings which is called Lightning Electromagnetic Impulse (LEMP). These risks highlight the need for professional Lightning Protection Systems to be installed within high risk buildings. Latest Lightning Protection Systems that conform to BS 62305:2006 are essential in reducing the risk of damage to a structure and the systems and people within. Tarrant Specialist Earthing can design and install professional Lightning Protection & Earthing Systems that divert high levels of electrical current generated by lightning strikes. Did you know that lightning protection systems need to be tested and maintained in order to comply with the Electricity at Work Regulations 1989? You have a responsibility to have your systems professionally maintained in order to minimise danger. Best practise is to have all lightning protection systems inspected and tested annually as per the recommendations in BS6651 and BS EN 62305. Our professional Lightning Protection Engineers can test & maintain all your lightning protection systems across the UK. We can carry out surveys on your existing equipment to highlight any defective areas that need repair and/or maintenance. Tarrant SE are leaders in Lightning Protection in Sussex but serve all areas of the UK. You can trust us to provide the most professional services in the industry.